Jaime is an associate at Samis + Company. She has broad civil and commercial litigation experience, as well as experience in corporate law, wills & estates, and real estate. 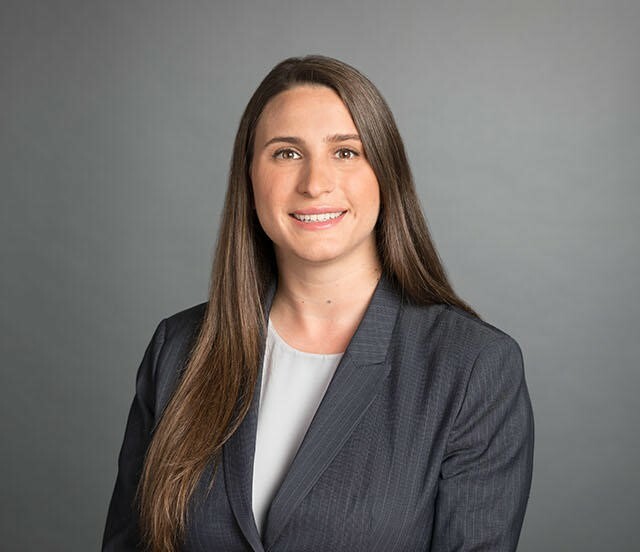 In her current practice, she regularly represents insurers and policyholders in various insurance defence matters, including subrogation, tort defence, negligence, occupiers’ liability, accident benefits and bodily injury. Jaime previously practiced law in Alberta, where she had appeared before the Court of Appeal of Alberta, Court of Queen’s Bench of Alberta, and Provincial Court of Alberta. She has represented clients at trials involving negligence, wrongful dismissal, and contractual disputes. Jaime values community involvement and access to justice initiatives. She has volunteered with Calgary Legal Guidance and Access Pro Bono British Columbia. Before beginning her law career, Jaime played hockey for the University of Toronto Varsity Blues. Outside of law, you can find Jaime enjoying the great outdoors, exploring new destinations, indulging in Toronto’s diverse culinary scene, and cheering for the Toronto Maple Leafs and the Calgary Stampeders. Jaime was called to the Alberta Bar in 2015 and the Ontario Bar in 2018 and is a member of The Advocates’ Society, Canadian Defence Lawyers and Hellenic-Canadian Lawyers’ Association.